Give your guests a reason to toast your excellent musical arrangement when you give them String Symphony Drink Tickets at your next event. 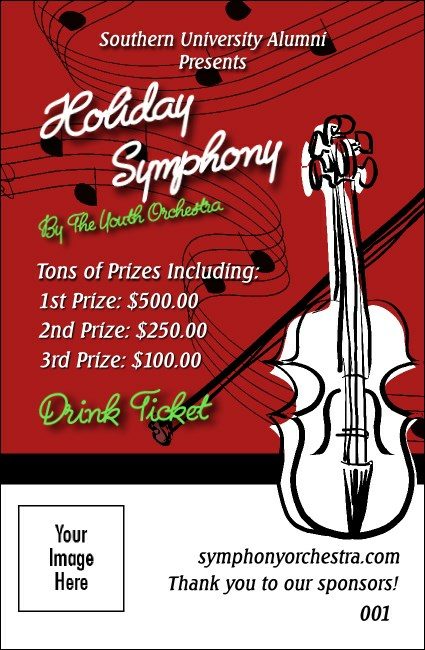 These beautiful tickets feature a seasonal red background with scores of music floating around a white violin outlined in black, and each one includes space for a unique image upload. Finding the right ticket at TicketRiver.com.au can be music to your eyes.